The Hitting Performance Lab is one of the highest converting and highest paying Affiliate Programs in the baseball/softball niche! Because we have a dedicated online marketing team involved in continually testing site changes and conversion rates. Since 2015, we’ve spent a lot of time and money gaining experience marketing our offers on Facebook. From video views to Flash Sales, a stagnant 3,500 email subscribers to nearly 40,000, we’ve gained quite a bit of knowledge in seeing what works and doesn’t work in our niche. UPSELL Profit Maximizer #2 – The War Room continuity program starts with a 14-day free trial, then is $37/mo (with 10% commission), and The Feedback Lab online lesson package which is 3-month payment program of either $120/mo or $200/mo (with 10% commission). The third factor that makes the Hitting Performance Lab affiliate program work so well for affiliates is that the “baseball hitting” or “softball hitting” market is still relatively uncrowded and conversion rates are high. WHY? What we’ve found is a lack of high quality marketers in this space. With millions of baseball Little Leaguers worldwide, and hundreds of thousands of 12 years old and under softball girls, there’s plenty of room to succeed in this niche. The Hitting Performance Lab Affiliate Program offers you industry leading commissions on all sales. If the customer doesn’t purchase on the first visit, our sales tracking cookie is active for up to 30 days and we run regular email promotions to ensure potential sales are cleaned up and affiliate commissions made. Our New Kajabi Affiliate Program doses. Our refund percent is less than 2%! Compare that to any other competing site. We have been successfully selling our online video courses since 2013! You get credit for the sale for 30 days after your referral! Our customers love us. They write us thank you emails everyday! You can feel good about the product you are promoting and the money you make. SIGN UP to be a Hitting Performance Lab Affiliate by CLICKING HERE. 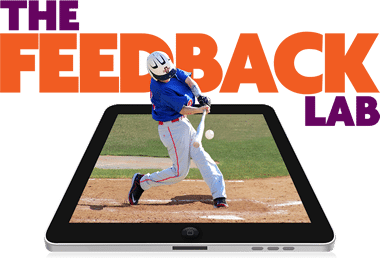 LOGIN to your Hitting Performance Lab Affiliate account by CLICKING HERE. If you need any help with the set up, please contact us. CLICK HERE to access the exact autoresponder sequence we’ve successfully used to drive traffic and sales to our landing pages. Feel free to copy, paste, and edit to fit your subscribers. These swipes were pulled from Ryan Deiss at DigitalMarketer.com. Sign Up to our Affiliate Program to receive up to date information to help you make more sales. Exclusive Promotional Opportunities – Get in on major sales events. Conversion Testing Result Updates – Know which pages to send your traffic to. Affiliate Resource Update Notification – Stay up with the play. Occasional affiliate competitions to win prizes. Hi, my name is Joey Myers and I’m the Affiliate Manager and Founder of the Hitting Performance Lab. Basically, I’m here to help you with whatever you need to get started promoting our products and services. Advice, banners, images, squeeze pages templates… Whatever you need, just let me know. The best way to contact me is via email. I check it everyday so you can expect a reply within 24-48 hours. If you would like to call or chat with me on Skype, please email me your Skype contact details and I’ll add you ASAP.